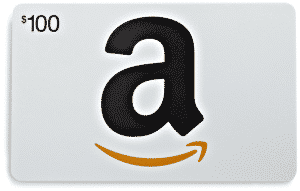 Refer a customer and receive a $100 Amazon gift card! Most of our business comes from referrals of satisfied customers. Therefore, to show our appreciation, we have developed a referral program which rewards you whenever you help us to get qualified leads and successful sales. If you know someone who is having worries about their IT, do them a favor and put them in touch with us. Now is your opportunity to not only help them out, but also win some free stuff by doing it. All we need you to do is fill out the form below with your friend’s contact information. If your friend becomes a client, we will send you a $100 Amazon Gift card. You must complete a referral form online at www.csidb.com/referrals in order for your referral to qualify for this program. Referral must be a new customer and sign an annual contract with CompuSys for recurring services. Referral must be a CompuSys customer for 3 billing cycles (90 days following full deployment) and have an ongoing contract with CompuSys. Referral must result in $500.00 or more in Monthly Recurring Revenue with a minimum commitment of 12 month. CompuSys may terminate the offer at any time at its sole discretion.